Julian Lennon is the son of John Lennon and Cynthia Lennon. 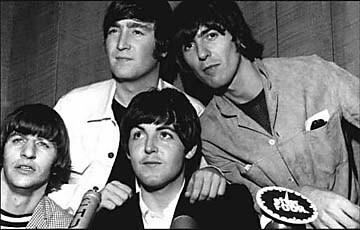 Julian was the inspiration behind some of The Beatles' great hits like Lucy in the Sky with Diamonds and Hey Jude (which started out as "Hey Jules"). Now, Julian is a celebrated musician and photographer. 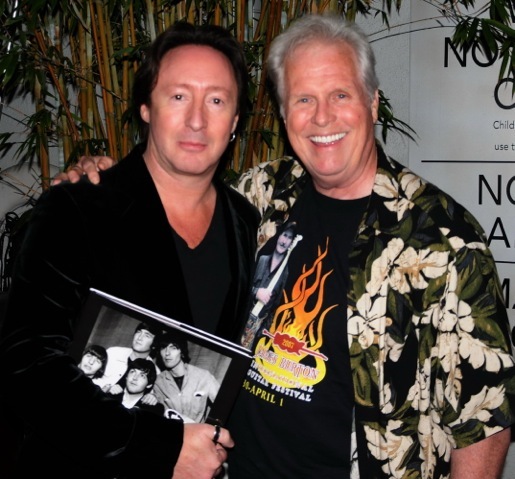 In the photo below, he appears with John Rowlands and Rock & Rowlands Flashback. Flashback features several rare photos of The Beatles.